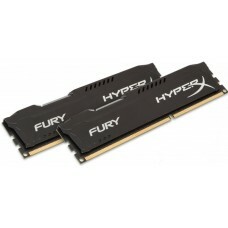 Память Kingston ddr3 16gb (pc-15000) 1866mhz Hyperx savage cl9 kit of 2 .retail. (hx318c9srk2/16)..
Память ddr3 16gb (pc-15000) 1866mhz Kingston Hyperx fury blue series cl10 kit of 2 .retail. (hx318c1 hx318c10fk2/16)..
Память ddr3 16gb (pc-15000) 1866mhz Kingston Hyperx fury white series cl10 kit of 2 retail (hx318c hx318c10fwk2/16)..
Модуль памяти dimm ddr3 (1866) 16gb Kingston Hyperx fury hx318c10frk2/16. cl10. красный радиатор. комплект 2 шт. по 8gb. rtl..